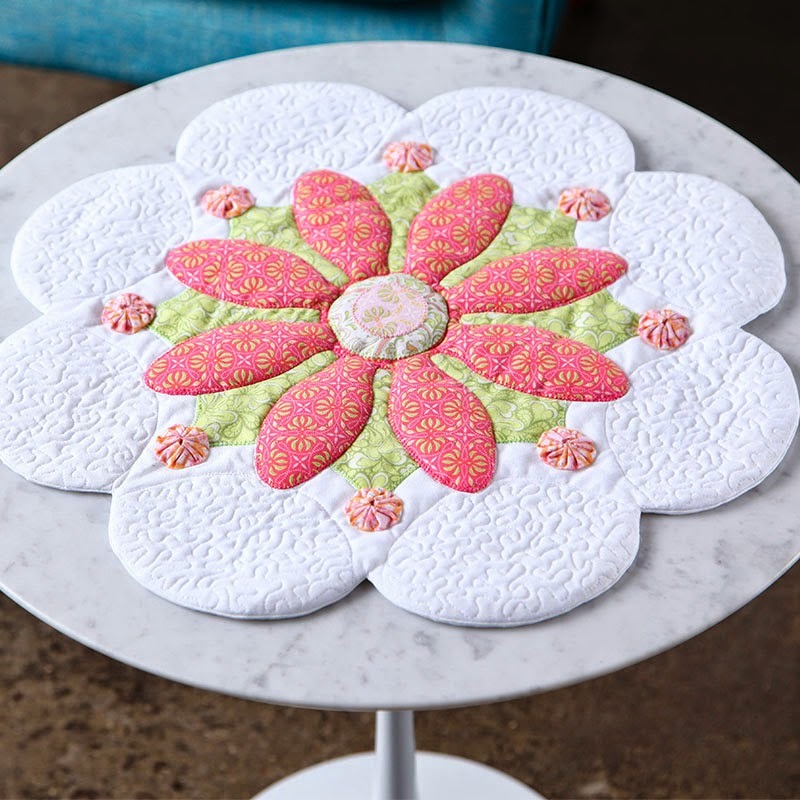 I'm so excited to announce my third class with Craftsy - "20 Fresh Appliqué Techniques!" 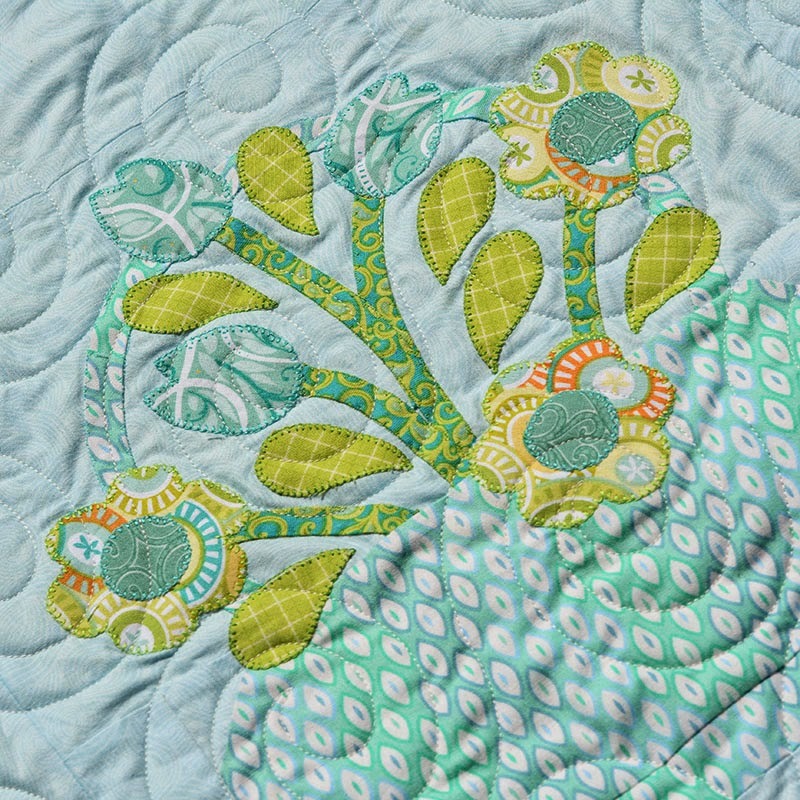 As many of you know, I love machine appliqué and all the design possibilities it makes possible. 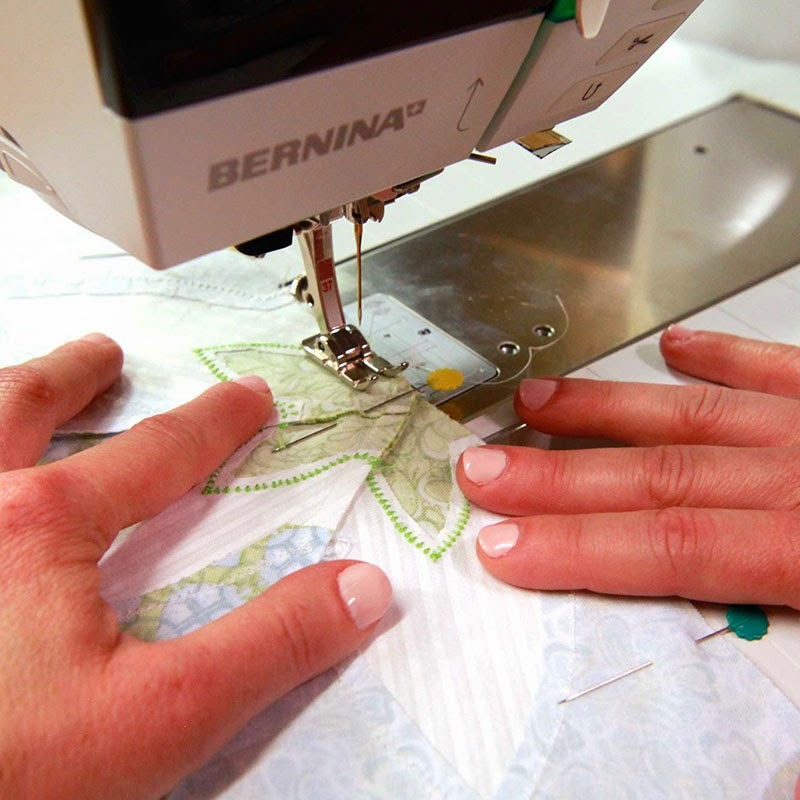 In this class, I cover the basics you need to achieve beautiful machine stitches and then we move on together to covering more advanced techniques. 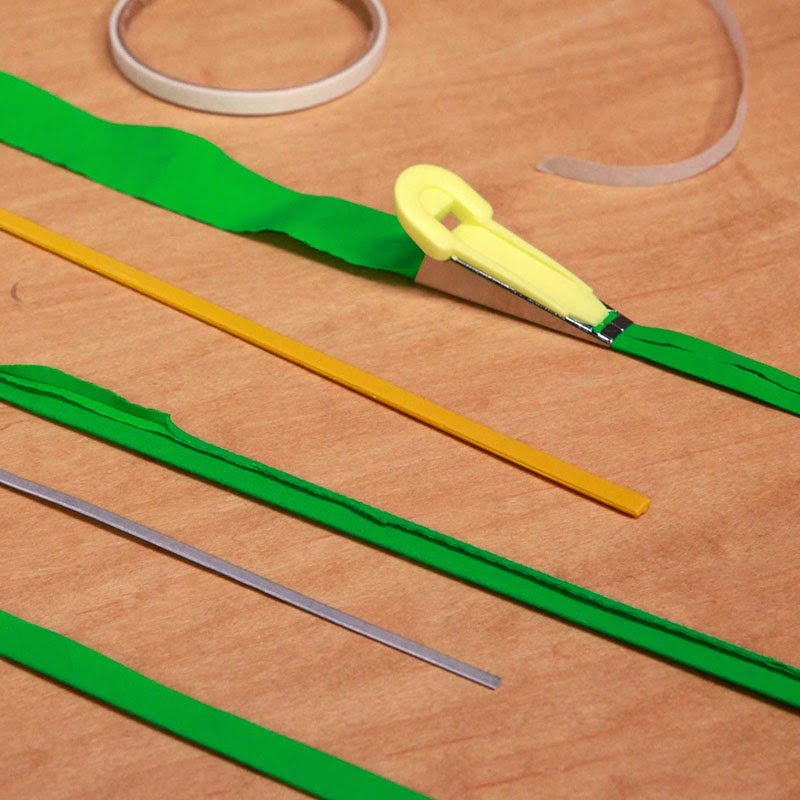 You'll see so many possibilities for incorporating these techniques into your own projects! 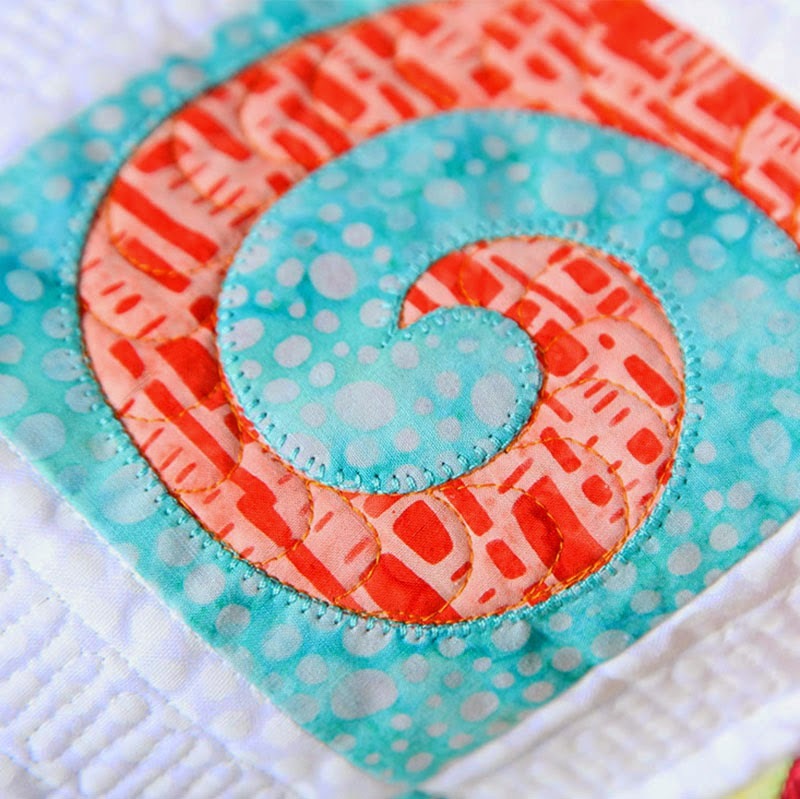 We'll start with my swirl quilt, where we'll master the blanket stitch on convex and concave turns and inner and outer corners, which is really the secret to great-looking machine appliqué. 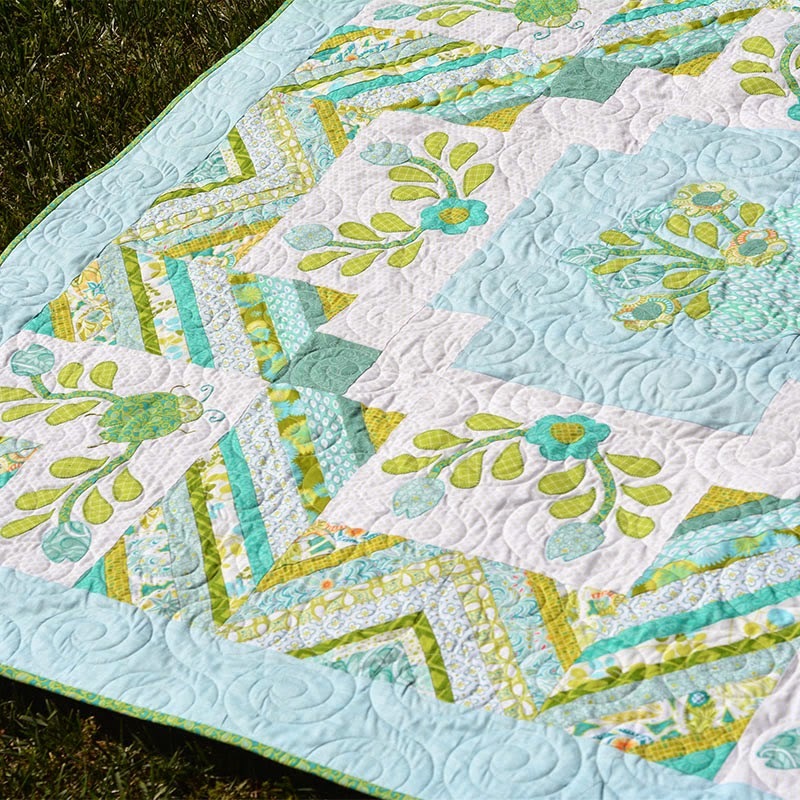 This is a quick, charm-square-friendly quilt and all the threads end in the seams so there is no need to knot them! 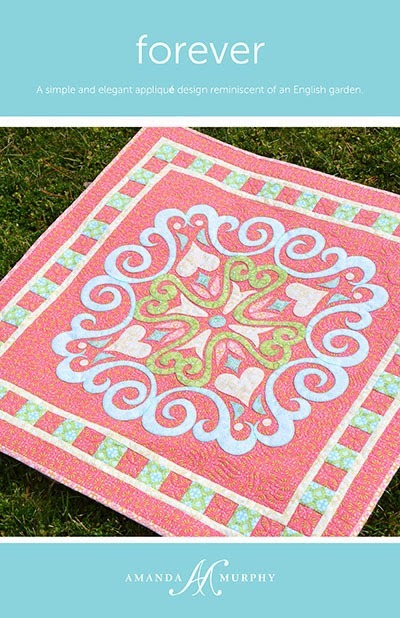 Next we will tackle my Cutting Garden Runner. 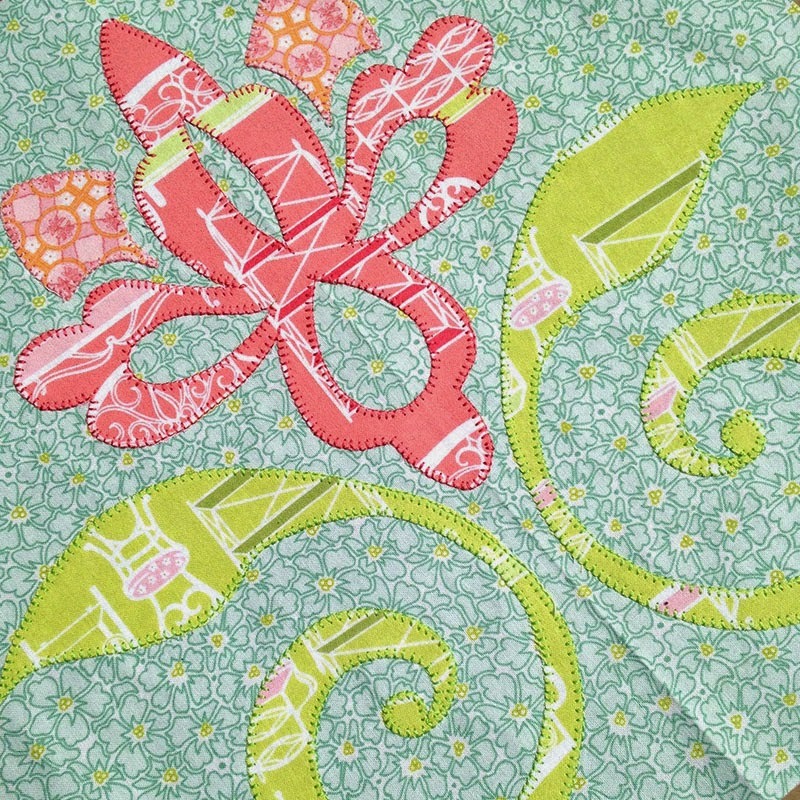 This features two types of appliqué - the large blossoms are appliquéd before joining the blocks and the small blossoms are added afterward. 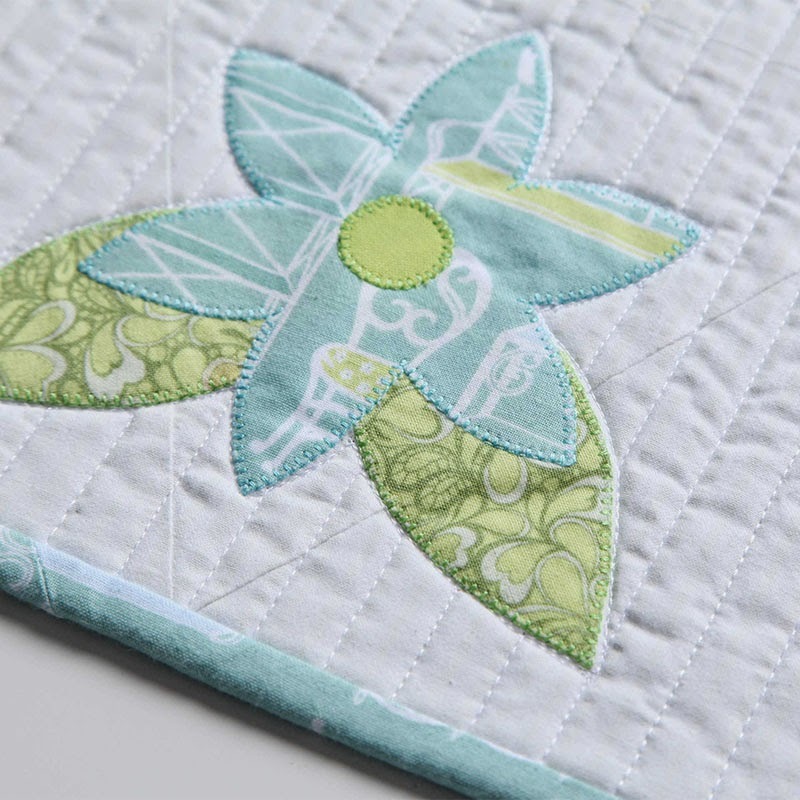 And you'll learn how and why to "window" your fusible in this project. 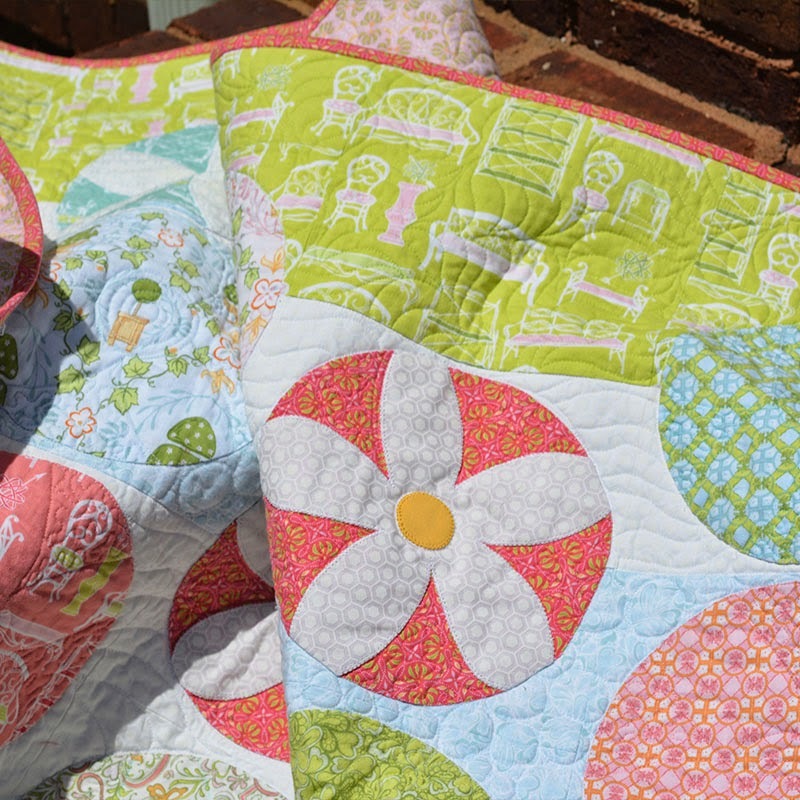 Then we'll tackle my Flower Power pillow. 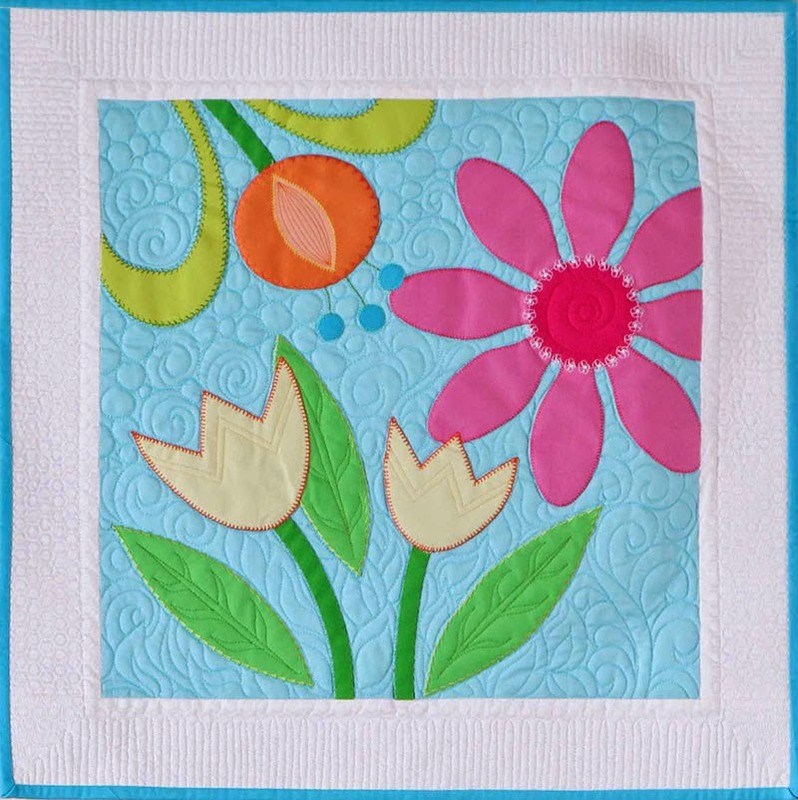 This is a companion piece to my Flower Garden pattern (available in Craftsy and in my shop). 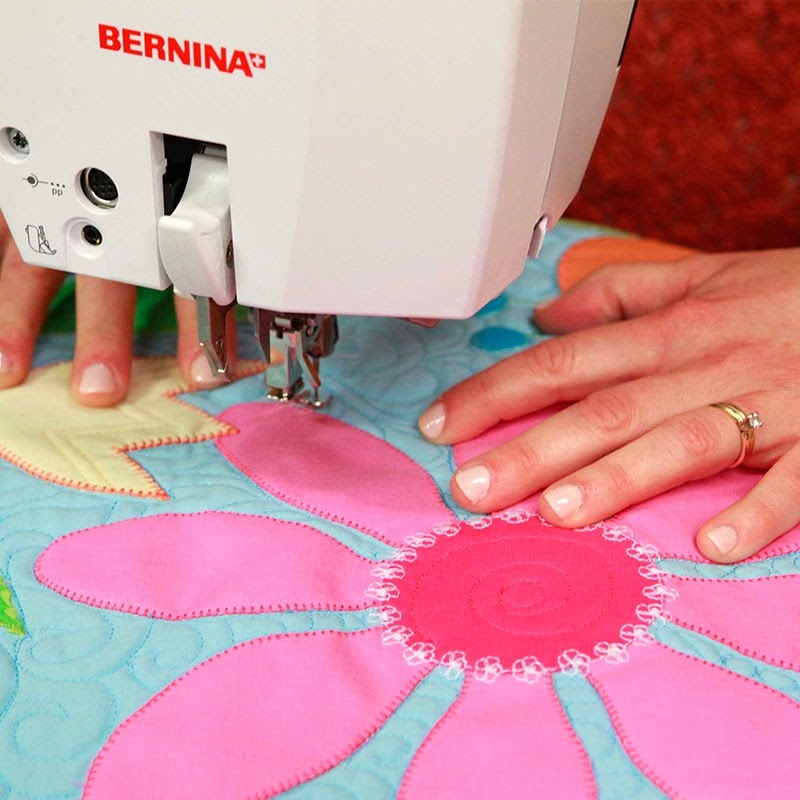 We'll learn how to appliqué with speciality stitches, where to pivot stitches for a beautiful finish, and how accentuate your design with quilting to make it sing! 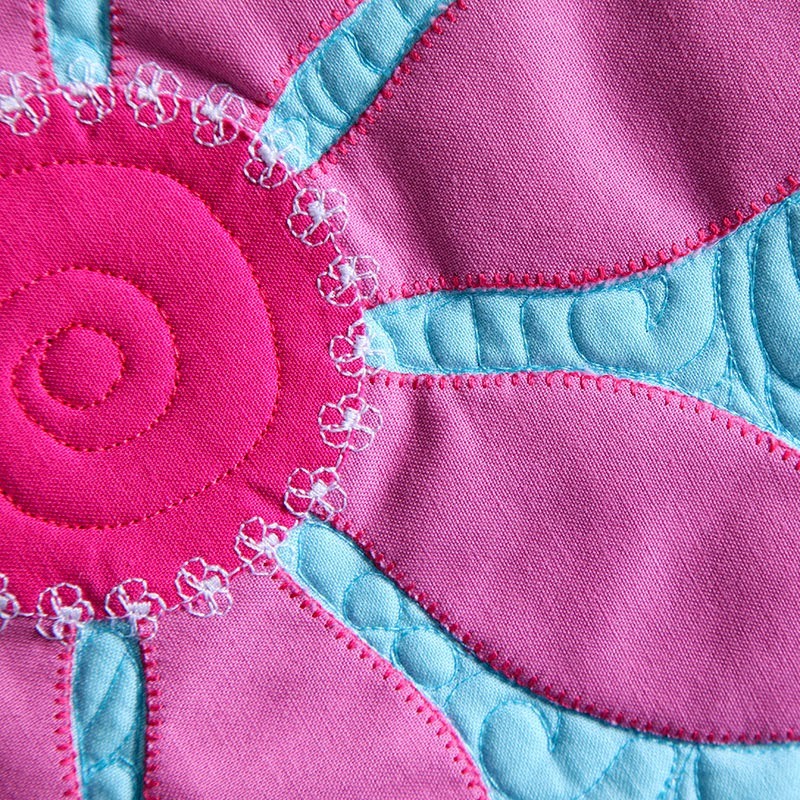 Finally, we'll add extra dimension to my Hawaiian Table Topper design using a Trapunto technique. 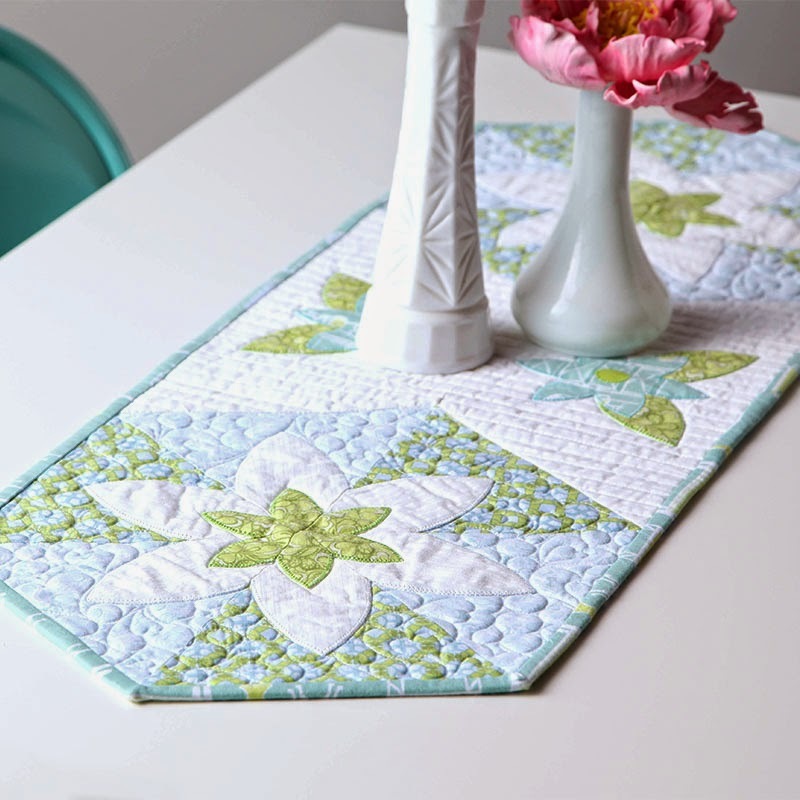 It is so much easier than it looks and you'll find uses for it in all sorts of projects! 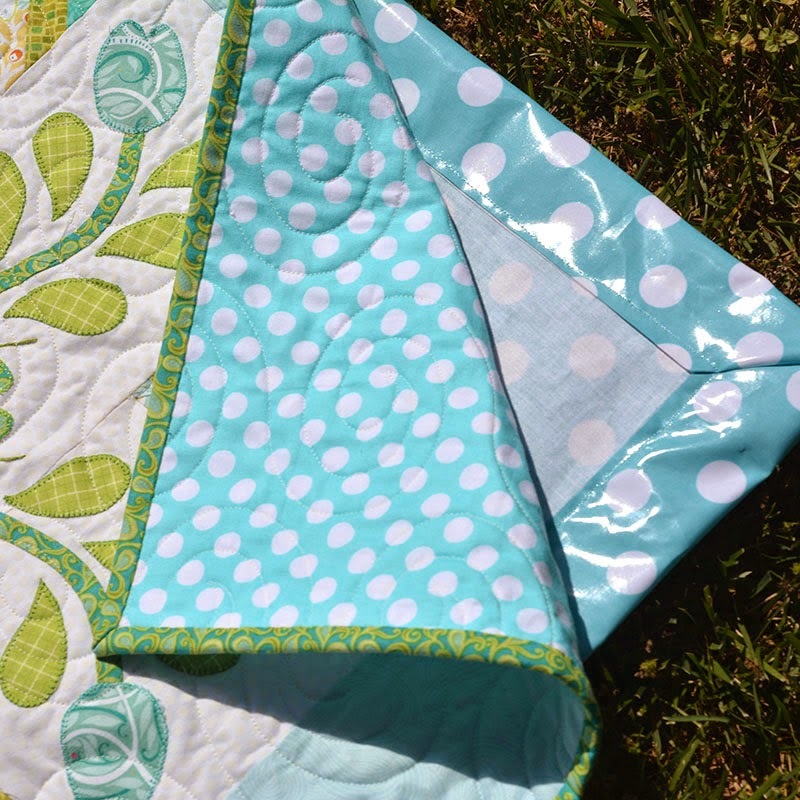 And I'll teach you how to "face" an unusually shaped project along the way. 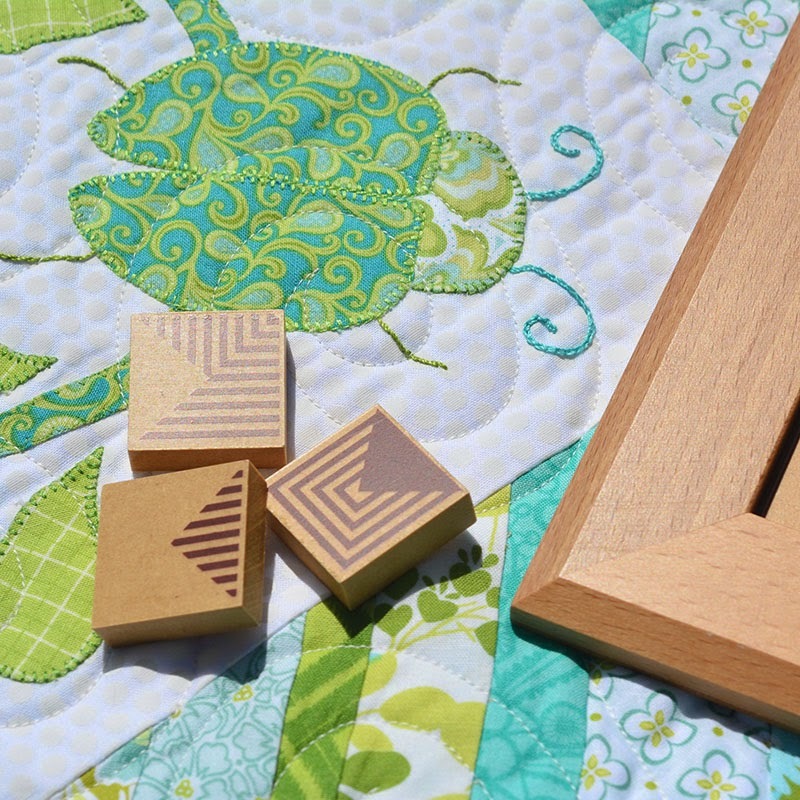 The projects are small and quick and make great gifts - and you'll learn lots of new things along the way. 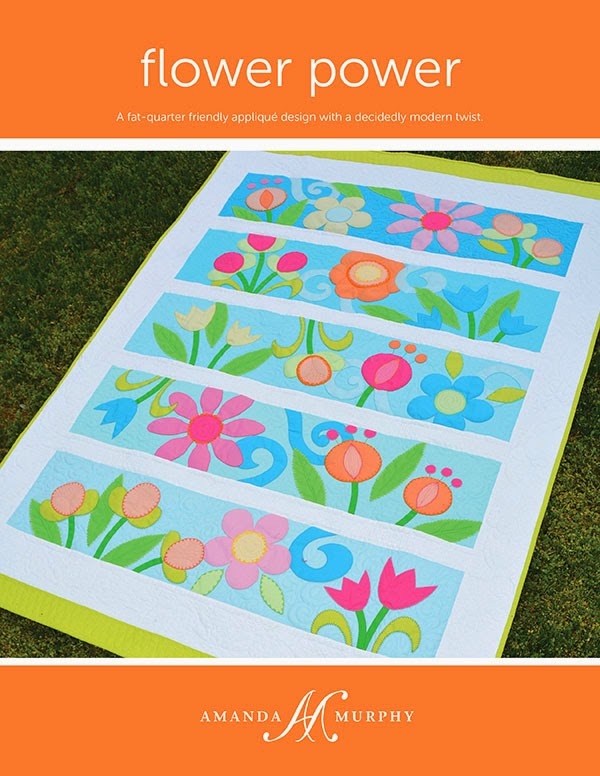 I hope you will joint me in "20 Fresh Appliqué Techniques"! P.S. 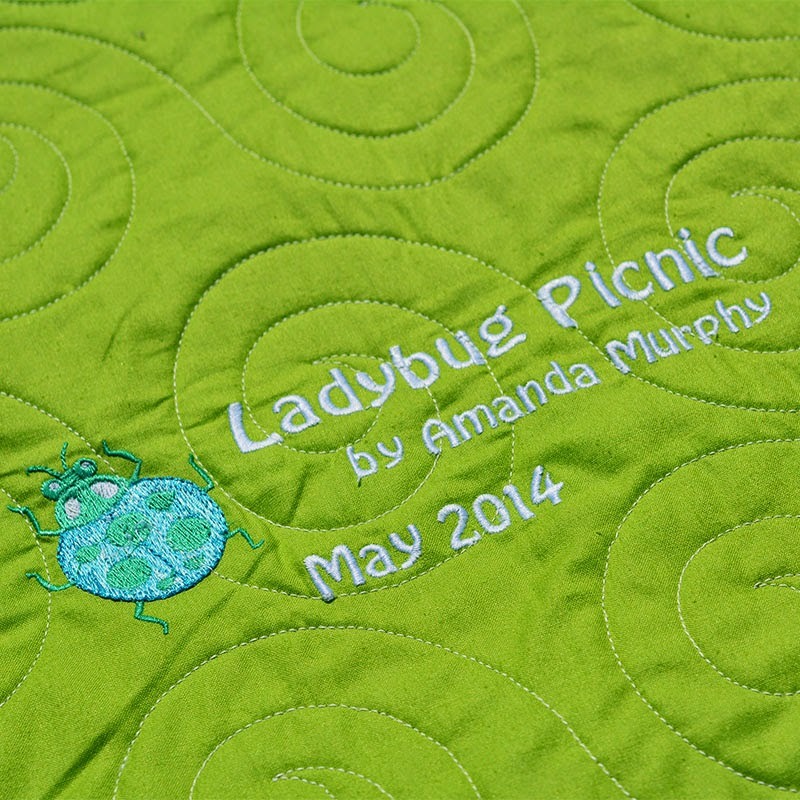 Ann.ost was the lucky winner of the Craftsy class. Congratulations, Ann! 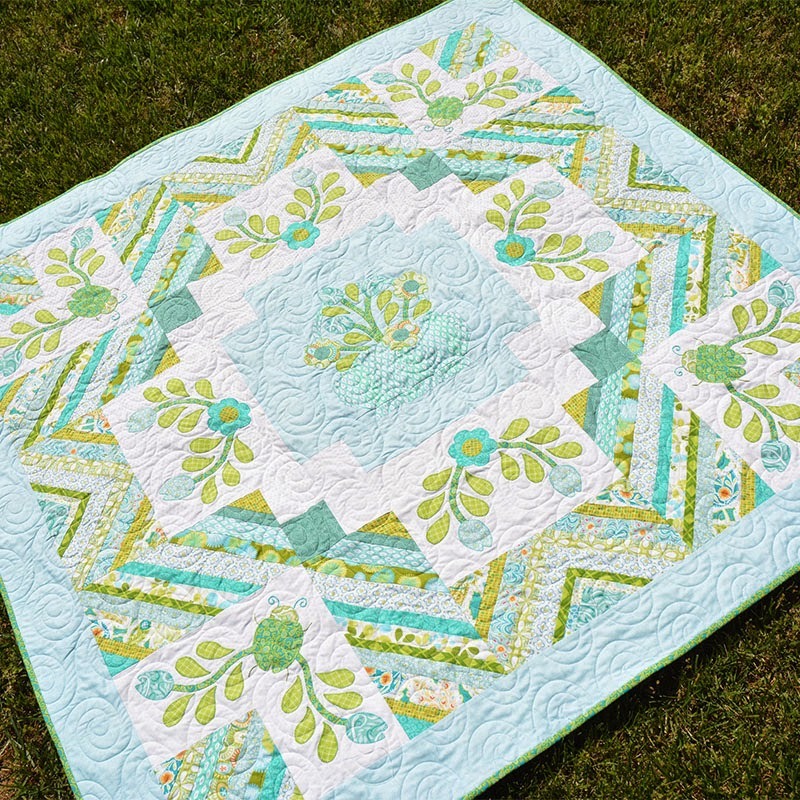 This month I sewed Part 5 of the Sundance Sampler, available exclusively through Bernina dealers, with my Topiary collection for Blend Fabrics and Aurifil threads. 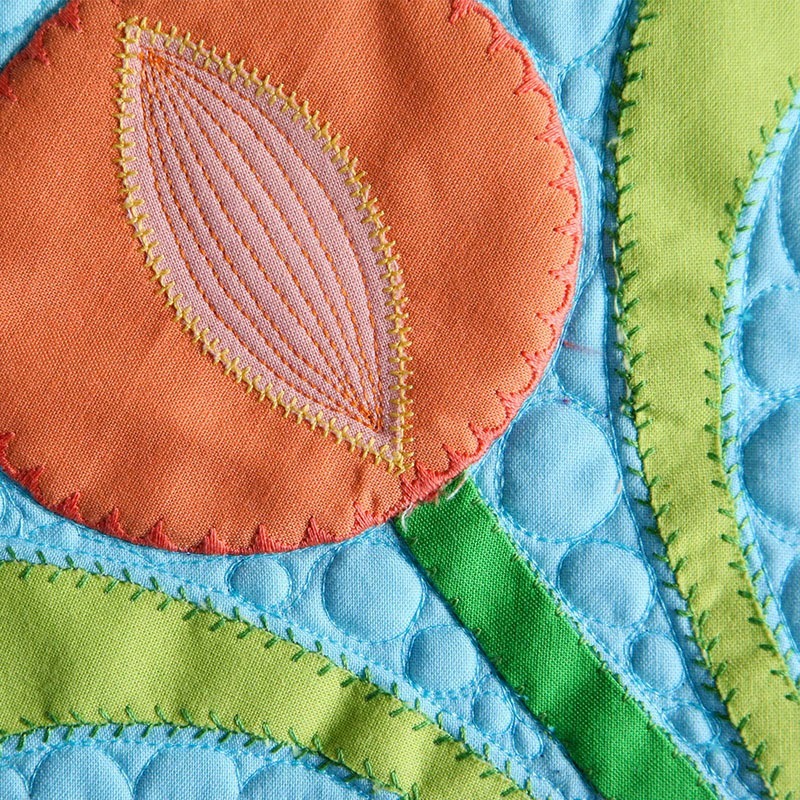 Part 5 is easy - just appliqué blocks! 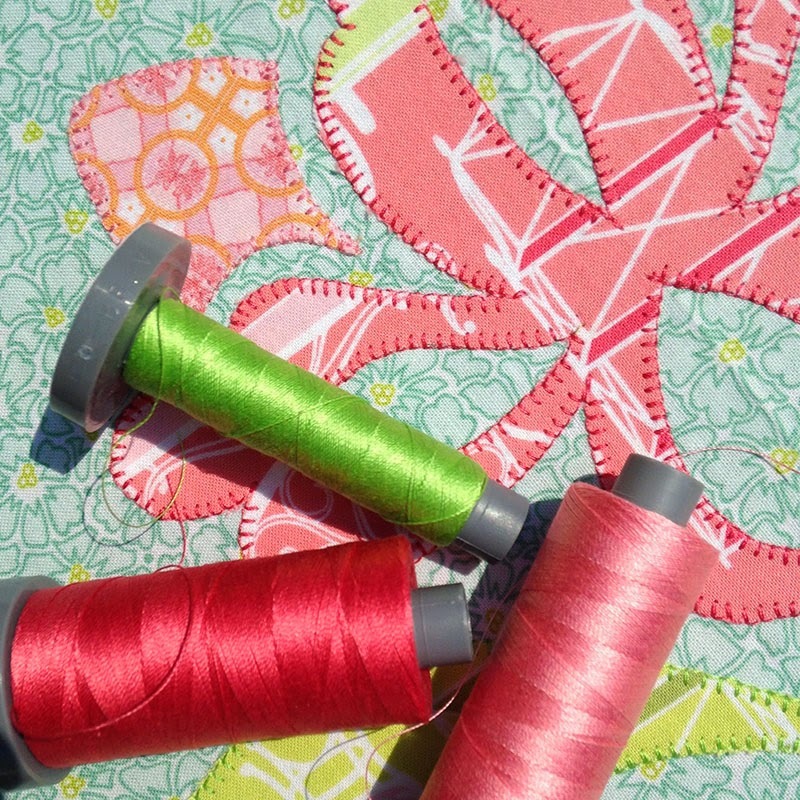 I hope you are having a wonderful summer and get lots of time sewing this week! P.S. 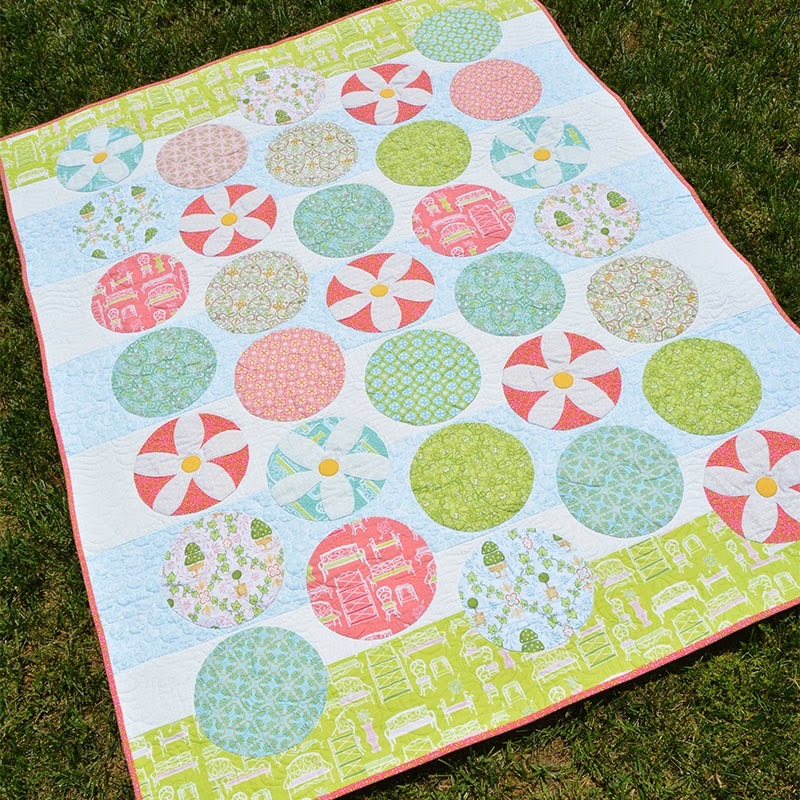 Carrie P is that winner of the Garden Spot giveaway here on this blog. I have lots of things happening all at once here and have subsequently had a lot of giveaways and am seriously behind on my replies. I apologize. I really appreciate all of your participation! 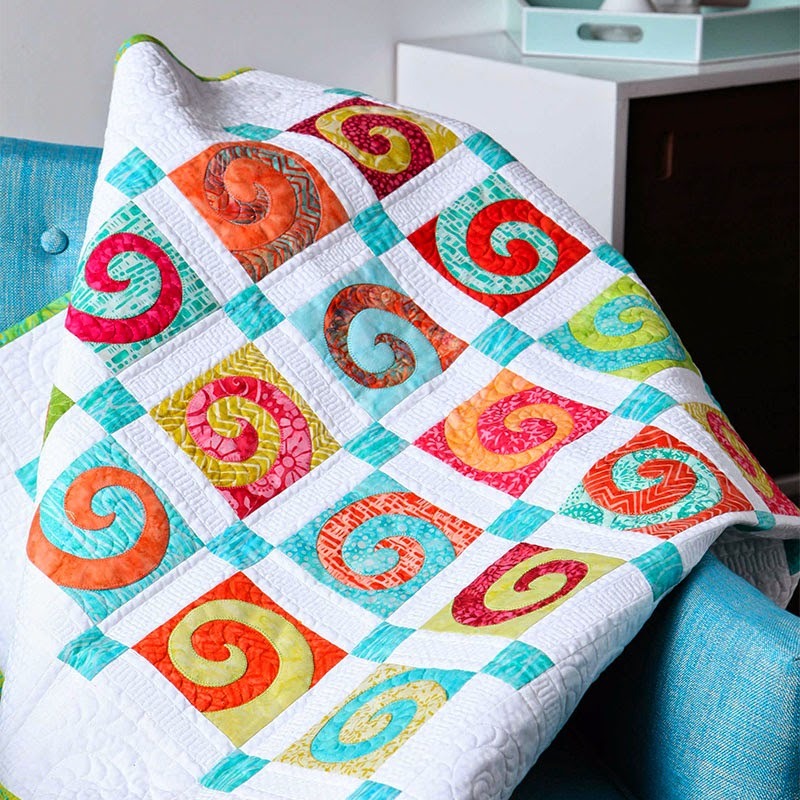 I'm SOOOO excited because my new Craftsy class is going live this Tuesday, the 17th! 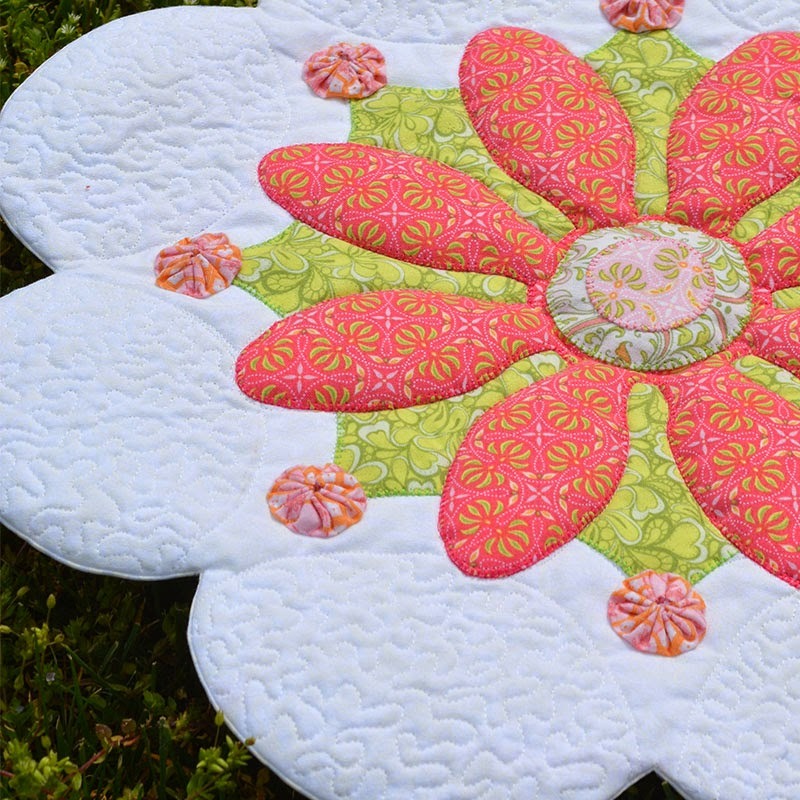 This time I'll be teaching fusible machine appliqué and we'll cover lot of different techniques! 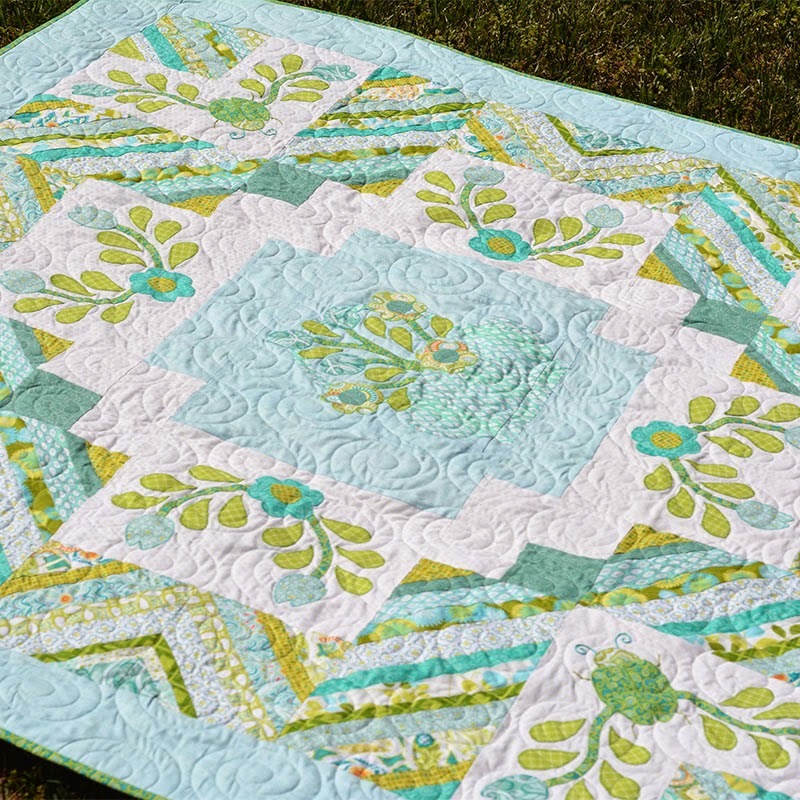 I'll show you more Tuesday, but in the meantime Craftsy is offering a giveaway of the class to celebrate the launch. 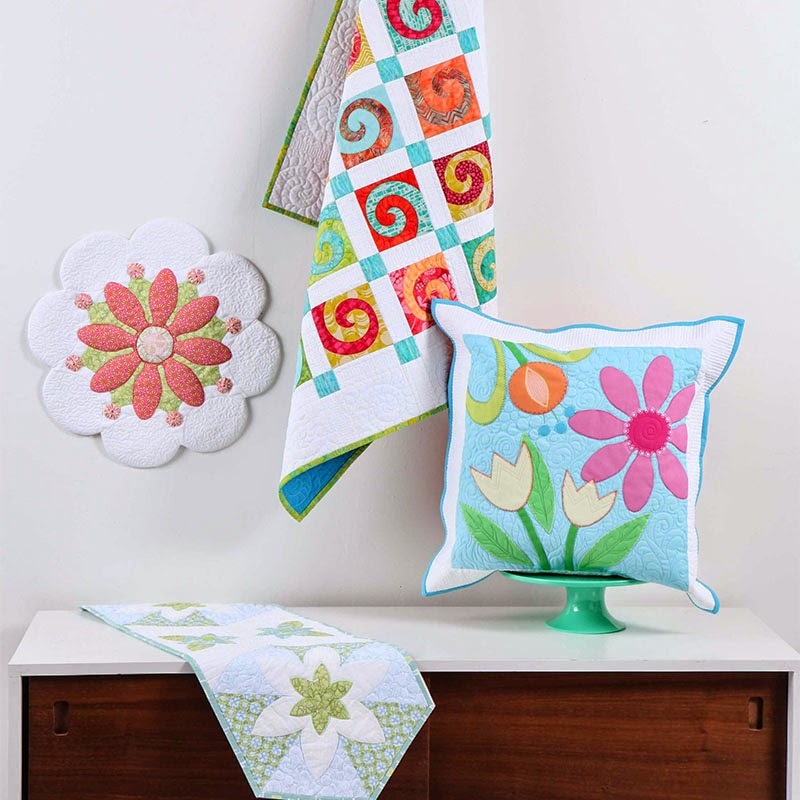 To enter, all you have to do is visit this link and either create a Craftsy account or just login to your existing Craftsy account. They will choose a winner on Tuesday. 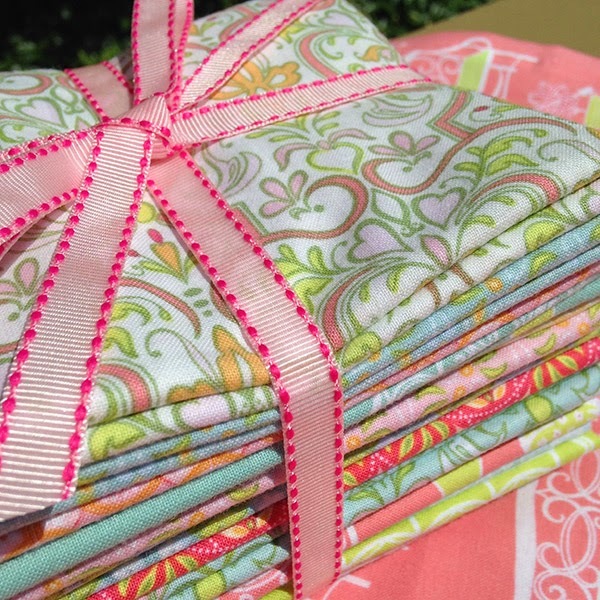 Have a wonderful weekend and happy sewing! Note: This giveaway is now closed. Carrie P. is the winner. Congratulations, Carrie! 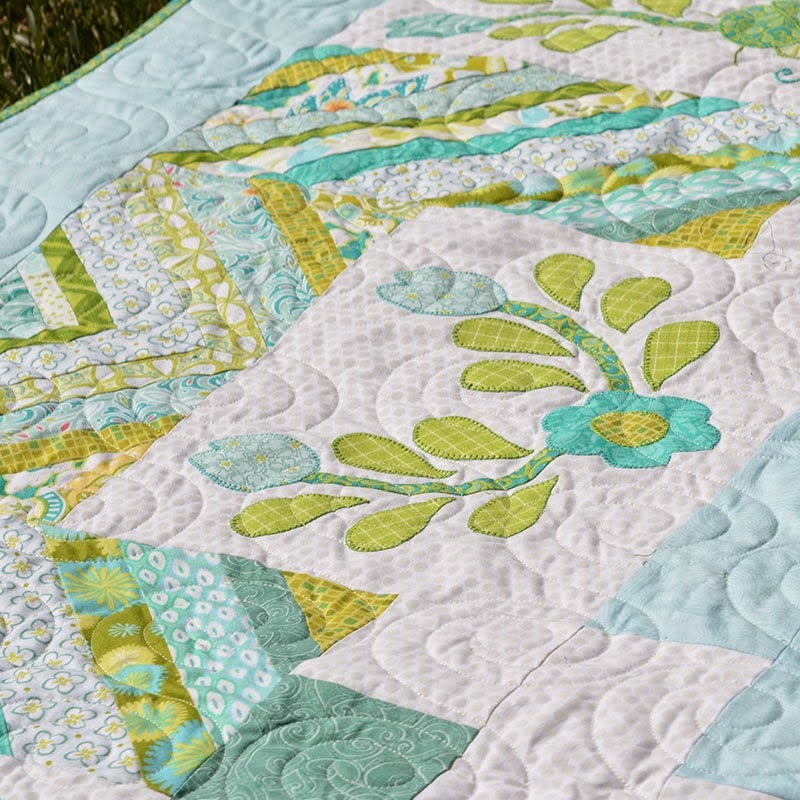 Today I'll be talking over on Quiltmaker's blog, Quilty Pleasures, about a quilt I designed for their July/August 2014 issue using my Topiary line for Blend Fabrics called "Garden Spot". 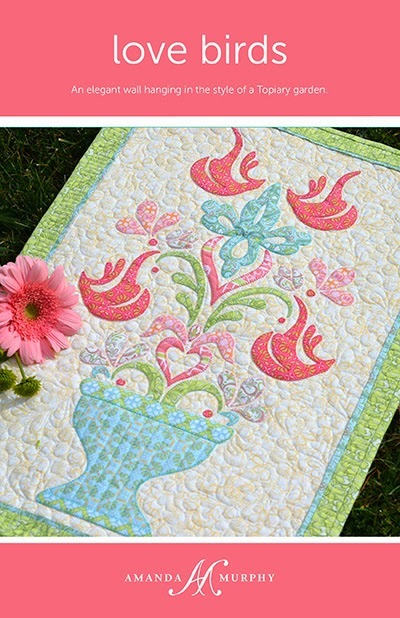 It is really fun to make and a great way to try a couple of different appliqué techniques! 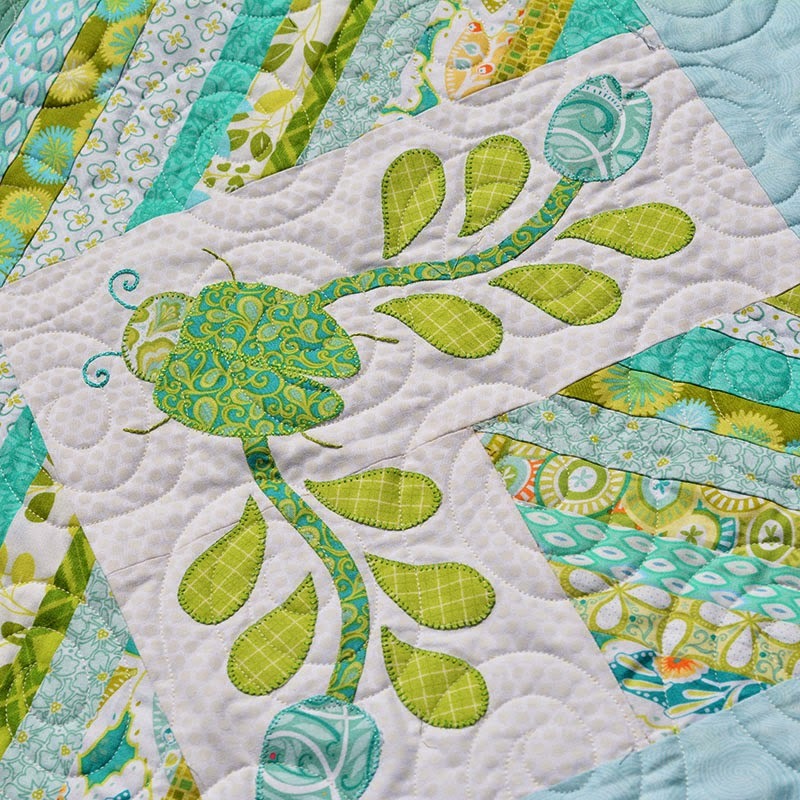 To celebrate, we are doing a joint giveaway on my blog and theirs of a fat quarter bundle of Topiary, plus two of my recent patterns from that line - Love Birds and Forever. 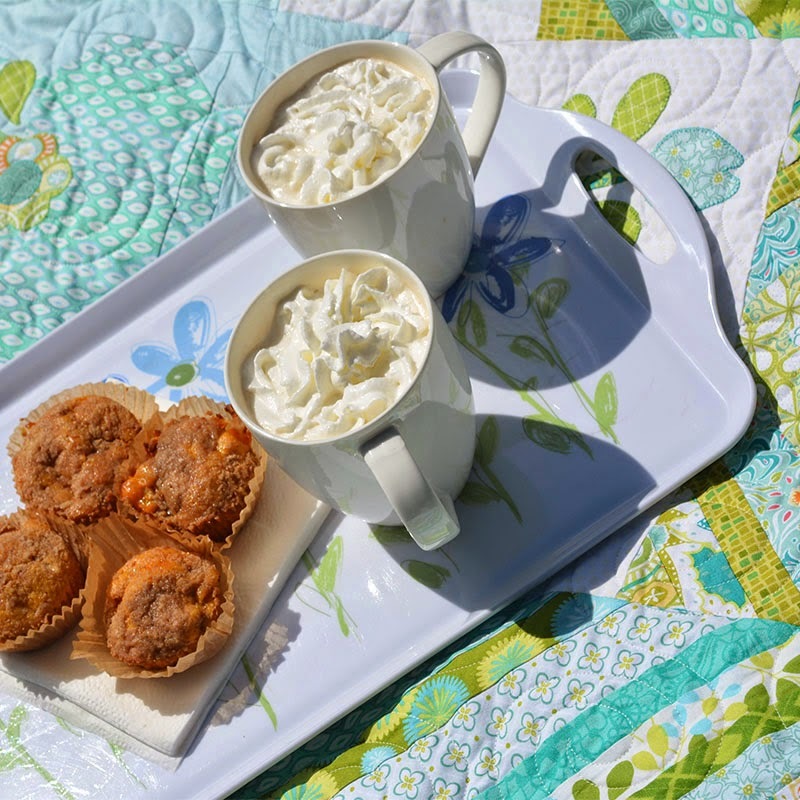 To enter, leave a comment here telling me something you are looking forward to doing this summer. 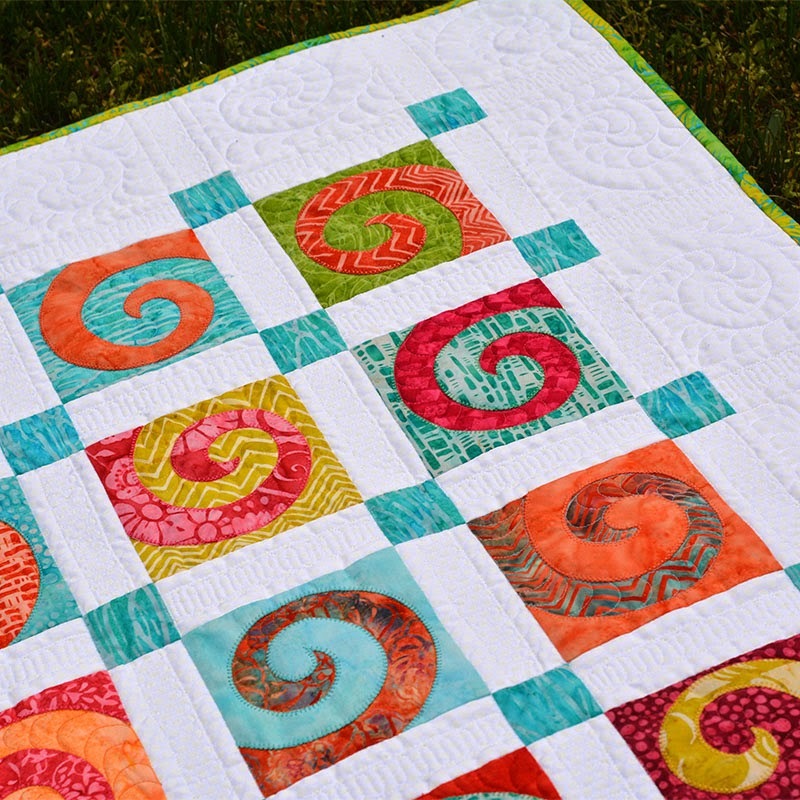 For a second chance to win, be sure to visit Quilty Pleasures. Deadline to enter in both places is end of day Saturday, June 14th.